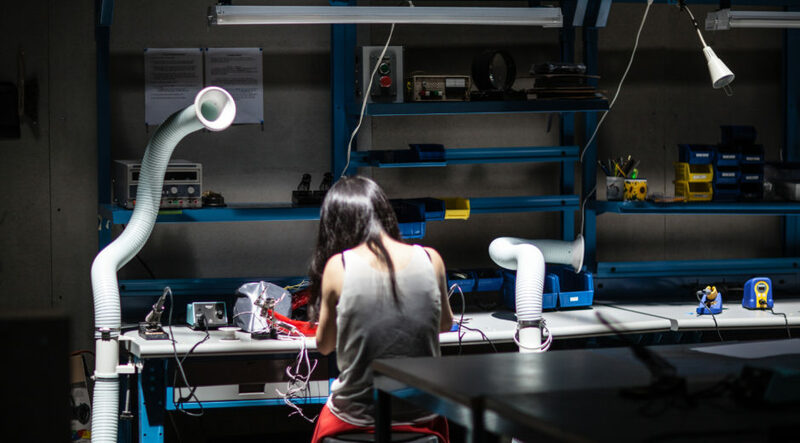 The MDP Summer Design Residency is granted to a creative practitioner or team whose experimental design work engages emerging issues in science, technology, culture, and society. The winning proposal should demonstrate how design/making can be used as a mode of inquiry and critical engagement. The residency includes studio space and shop access, a $5,000 stipend, a $5,000 project budget, and a team of graduate student interns for 7 weeks. The residency culminates in a small public exhibition and presentation. From soldering to 3D printing to sewing in the MDP’s Making Lab. 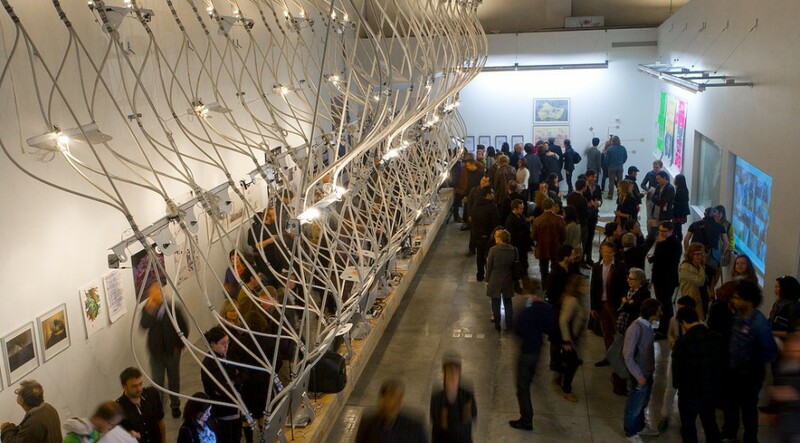 This call for proposals welcomes designers, filmmakers, architects, artists, and makers of all kinds to submit a proposal for design-driven research to be conducted in Summer 2018, in residence in the MDP’s Wind Tunnel studio. The winning proposal will use design as a mode of inquiry into emerging issues in science, technology, culture, and/or society. In the MDP, we define “media” broadly (see Tim Durfee’s blog post on this subject). Therefore, the residency is open to a range of disciplinary perspectives and practices. Projects that are the best fit will take a critical and culturally-specific approach to: futurisms and speculations; network and digital cultures; pervasive computing, AI and machine learning, and/or the internet of things; mixed realities at any scale from micro to urban to global; humanisms, colonialisms, users, and other social constructs open to critique through design. We are looking for projects that allow for discovery-through-making during the residency period. Applicants should have a track record of experimental design and research projects as evidenced through robust documentation and dissemination, and should have some experience managing a team. We cannot fund commercial projects – projects for which the researcher is being paid by a client – however we are not averse to projects that have potential commercial applications. The residency is not suitable for the latter stages of a project’s “finish” and we will favor proposals that actively engage the student team in the design and research process. The research page of this site shows past residents and faculty research projects that we have supported. W.F. Umi Hsu (pronouns: they/them) is a strategic designer and public humanist who engages with research and organizing agendas for equity in arts, technology, and civic life. Hsu leads design strategy and digital initiatives at the City of Los Angeles Department of Cultural Affairs. Hsu has advised Arts for LA, LA Counts, Cultural Research Network, Center for Cultural Innovation, and Society of Ethnomusicology and leads community-based sound project LA Listens. Hsu has received fellowships and awards from National Endowment for the Arts, American Council for Learned Society, Shuttleworth Foundation, and LA Metro and teaches as adjunct professor at ArtCenter College of Design and University of Southern California. Benjamin H. Bratton‘s work spans Philosophy, Art, Design and Computer Science. He is Professor of Visual Arts and Director of the Center for Design and Geopolitics at the University of California, San Diego. He is Program Director of the Strelka Institute of Media, Architecture and Design in Moscow. He is also a Professor of Digital Design at The European Graduate School and Visiting Faculty at SCI_Arc (The Southern California Institute of Architecture) In his recent book, The Stack: On Software and Sovereignty (MIT Press, 2016. 503 pages) Bratton outlines a new theory for the age of global computation and algorithmic governance. See thestack.org His current research project, Theory and Design in the Age of Machine Intelligence, is on the unexpected and uncomfortable design challenges posed by A.I in various guises: from machine vision to synthetic cognition and sensation, and the macroeconomics of robotics to everyday geoengineering. Ilona Gaynor is a designer, artist and writer. She was the 2012 MDP Summer Design Resident where she completed her project Under Black Carpets which she went on to exhibit at the Lisbon Design Triennale. Her work is occupied by the conflicts, entanglements and geometric dimensions of capital and the problem it poses for plot and image. Often presented as proposed scenarios or situations – the work takes form as plans, proposals, scripts and geographies for structurally imagined scenarios or events that cannot or will not occur. Ilona’s work has been exhibited, published, awarded and presented internationally. She is currently an Assistant Professor of Design at The School of the Art Institute of Chicago. Elise Co is co-founder of Aeolab, a design and technology studio in Los Angeles building dynamic interfaces, generative behaviors and advanced, high-fidelity functional prototypes of alternate/future devices and systems. Co has helped design and implement data visualizations, hand-powered electronic prototypes, robotic appliances, and multi-screen kinetic installations for clients such as Honda, BMW, Sony, Samsung, and Disney. Co holds a Master of Science degree in Media Arts and Sciences and a Bachelor of Science in architecture from MIT. 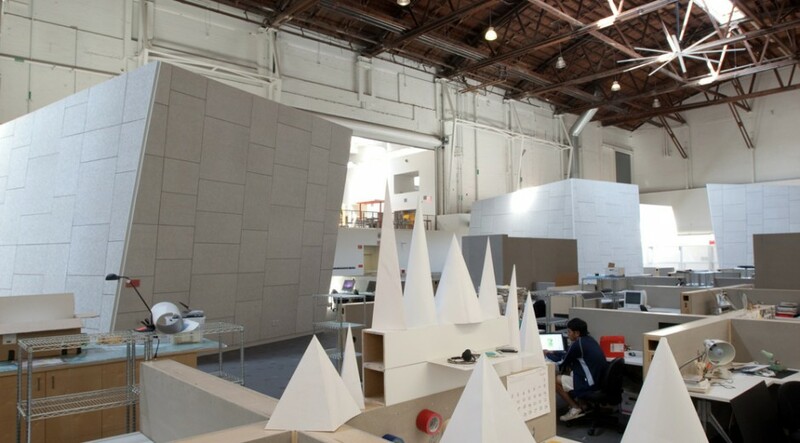 At the MIT Media lab, Co explored the synthesis of fashion and technology. She is an Associate Professor in Graduate Media Design and Interaction Design at Art Center College of Design in Pasadena, and has taught at the Hochschule für Gestaltung und Kunst in Basel, Switzerland; the University of Minnesota; SCI-Arc; and USC. Her work has been shown internationally, including at the Milan Triennale, Istanbul Design Biennial, NEMO Amsterdam, MOMA, SIGGRAPH, and IMRF Tokyo. 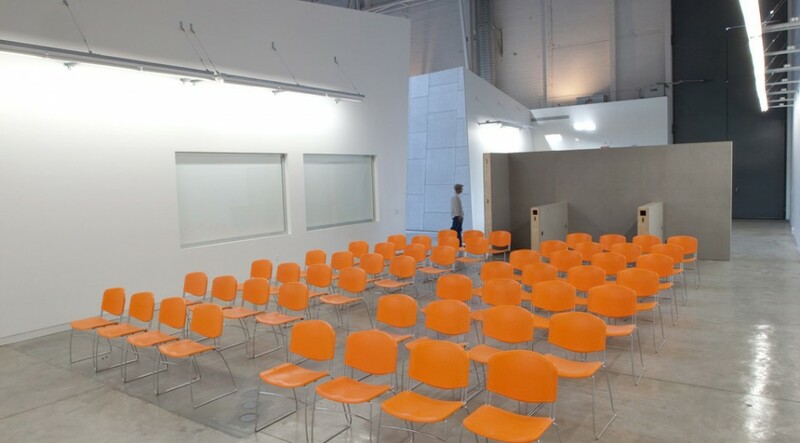 Residents are given project space for up to 14 weeks within the MDP studio. 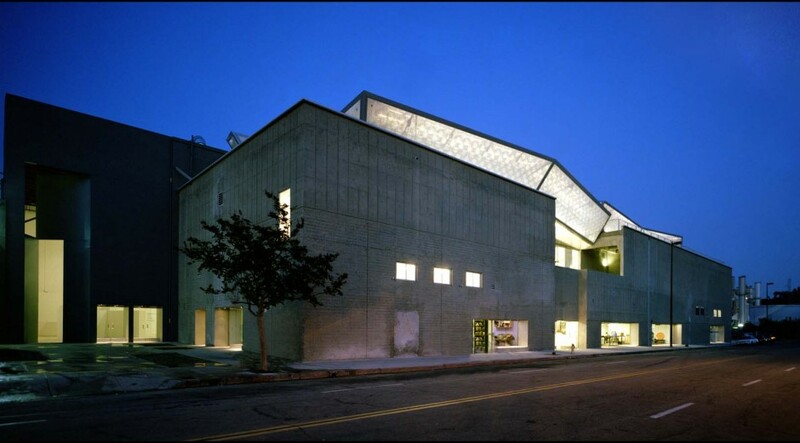 Housed in a former supersonic jet testing facility, the MDP studio is part of a complex called the Wind Tunnel Graduate Center for Critical Practice, which includes the Wind Tunnel Gallery, the Graduate Art MFA studios and galleries, and the Hixon Courtyard, in the heart of Art Center’s south campus in Pasadena, California. The award includes access to the College’s renowned shops and production facilities from letterpress to video editing to large-scale rapid prototyping. The resident receives a $5,000 stipend and can submit a project budget for up to $5,000. The resident selects a project team of 2–3 graduate student research assistants (media designers/design researchers) for 7 weeks. Researchers will have access within the studio to a digital shop, desktop and laptop computers, AR and VR lab, digital video editing bay, recording equipment, color printers and plotters, projectors and miscellaneous digital devices. Researchers will also have access to the the College Library, campus workshops for wood, metal, rapid prototyping, letterpress printing, screenprinting, the Color, Materials, and Trends Laboratory, and more. The resident can have access to the studio and facilities from May 14 – August 24, 2018, during which time they are required to be in residence for a minimum of 7 weeks, from July 2 to August 17. Applicants must submit the entire application as a pdf or link by e-mail by 12 noon, Pacific Time, February 14, 2017. The application should include a cv, project form, and 2-page project proposal. Applicants must show proof of eligibility to work in the United States during the time of the residency. The residency cannot be conducted on a tourist visa and Art Center CANNOT provide assistance with visas for non-citizens.